Shariq Textiles has revealed their Farah Leghari eid dresses 2015. The collection includes beautiful lawn dresses which are fully embellished with lovely prints. The printed dresses are also embellished with embroidery and lace work. The collection is consisting of beautiful dresses which are perfect for all type of age of women. These dresses are looking attractive and stylish. The dresses are fully adorned with lovely colors and designs. Let’s check out the Farah Leghari eid dresses 2015 by Shariq textiles here below. Shariq Textiles is one in the most leading fashion brand. Shariq Textiles has launched so many collection and gained good response always. Shariq Textiles has been working since very past years ago. This eid, Shariq Textiles has launched the Farah Leghari eid collection. 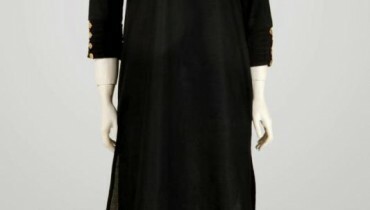 This collection includes wide range of lawn dresses. These lawn dresses are available in stitched pattern. The three piece lawn dresses are available in lovely color combination. Farah Leghari eid dresses 2015 are looking stunning and stylish. The dresses are fully embellished with embroidery of thread work. The colors you will find in this collection are bold such as, green, red, blue, black, orange, pink, yellow, ferozi, brown, fawn and many more. All these Farah Leghari eid dresses 2015 are perfect looking for all age group of women. The collection is now in stores and you can purchase them at very good price. The eid collection of Farah Leghari has revealed by Shariq Textiles. You will find lawn stuff for shirt, trousers and dupattas in this collection. Some of the dresses are also attached with chiffon dupattas and sleeves. So, girls!! If you are searching for some stylish and stunning eid dresses, then must check out the collection below. Farah Leghari eid dresses 2015 are best for you. Let’s watch out the collection below. For further queries you can visit the Facebook page of Shariq Textiles.